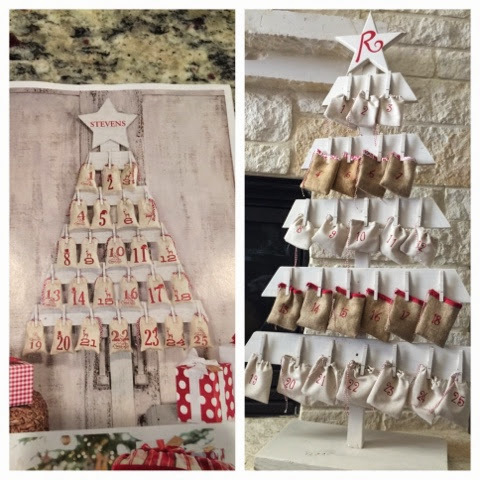 Home DIY Pbk inspired wooden advent tree! 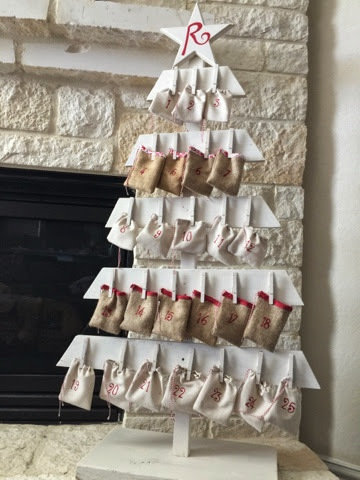 My pottery barn catalog came in the mail a few weeks back and I saw the cutest wooden advent tree (as seen in the picture above on the top left). It retailed for $99 and I thought...why not make it myself from recycled wood from around the neighborhood? There is a ton of construction going on in my neighborhood and the builders throw away wood planks here and there that they won't use. 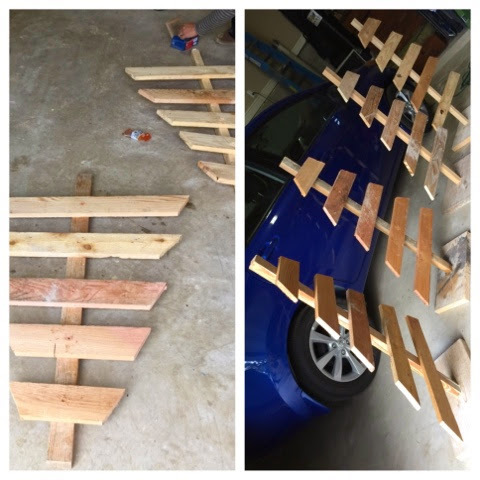 My neighbor Myra is handy with the electric tools so we got to work...planning, gathering and making our trees. Myra cut the wood and we screwed on the planks and then attached a wooden base at the bottom. 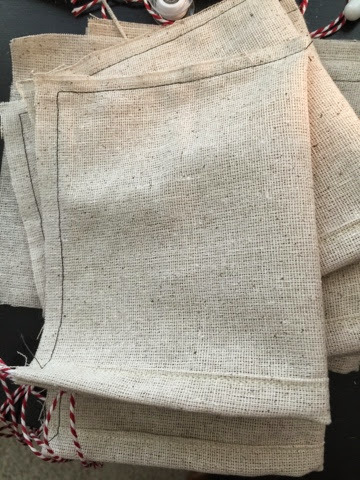 I liked the muslin bags as seen in the pbk catalog but wanted to mix in some burlap ones as well. I made things easier by putting the red and white twine through first, sewed up the edges wrong side together and then flipped it right side out. 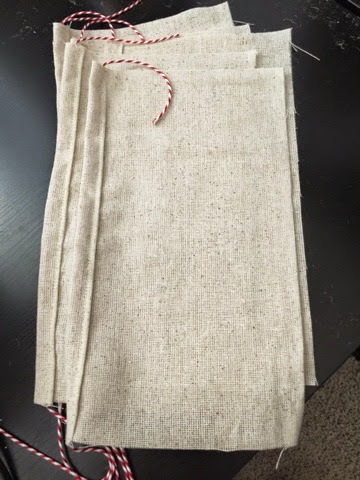 I also didn't like the rough edge on top of the burlap bags so I made some bias tape from leftover red and white Christmas fabric. 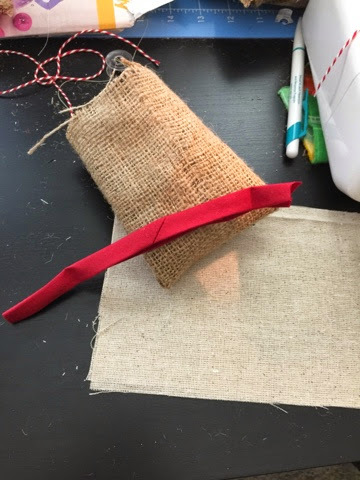 I put the red and white twine through first then sewed the bias tape onto the burlap bags. I think they turned out great!! Next, my friend Elizabeth whipped up a batch of chalkboard paint consisting of calcium carbonate and divine white from a leftover paint sample she ordered from Sherwin Williams. Then we painted the trees, the wooden star, the clothes pins and then left them to dry. The next step we did was stencil numbers onto our bags with red acrylic paint. I cut some cardboard rectangles to insert into the bags and then she used a spouncer to stencil in our numbers. We then took a larger stencil to stencil the first initial of our last name onto the wooden star with the matching red acrylic paint. In our excitement to finish this project, I forgot to take a picture of her stenciling! 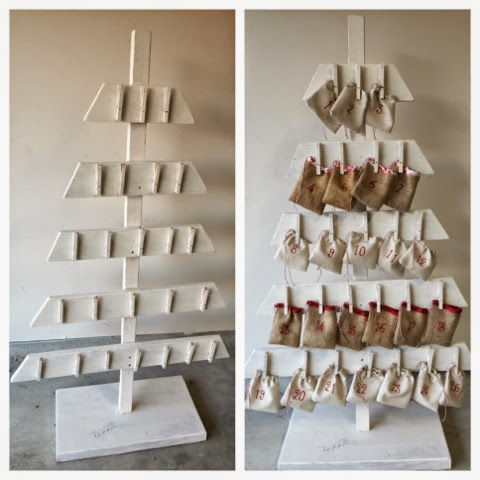 Last, we got glued the clothes pins and the wooden star onto our trees and hung up our bags. I plan on filling the bags with a treat for each of my kiddos for them to open on the corresponding days to countdown to Christmas. I love how it all turned out! !